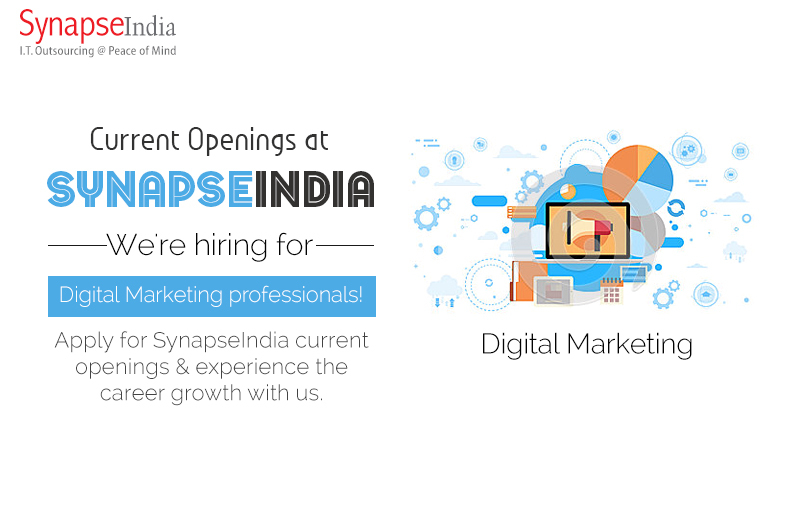 Find out SynapseIndia current openings for digital marketing specialists with our Noida team. At SynapseIndia, the prominent IT & Digital Marketing company in India, we're hiring for multiple positions with our digital marketing team. We're looking for candidates with knowledge & experience across different digital channels including – SEO, Social Media, PPC, Content Writing and more. We have been offering effective digital marketing services to our clients across the world from the period of more than a decade. Our professionals bring years long expertise & experience in promoting different kind of businesses from a comprehensive range of industries. Want to become a part of our dynamic digital marketing team? Checkout SynapseIndia current openings.